Beginning on March 9, Prop Store will auction official ‘Ender’s Game’ film production costumes and props. The auction will be held exclusively online and will run for two weeks, ending on March 27. Each day, 40 news lots will be posted with each lost lasting for only 7 days. There are no reserves on any items. Most of the lots include original costumes, props, and key set dressing pieces. 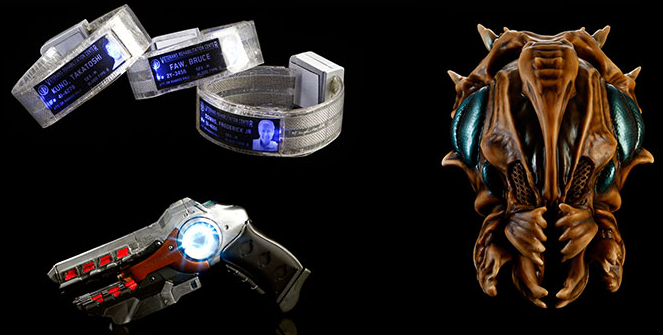 The site currently features medical ID bands, a flash gun, and the formic mask Ender forces Peter to wear. Click here to register and stay tuned for more ‘Ender’s Game auction news.